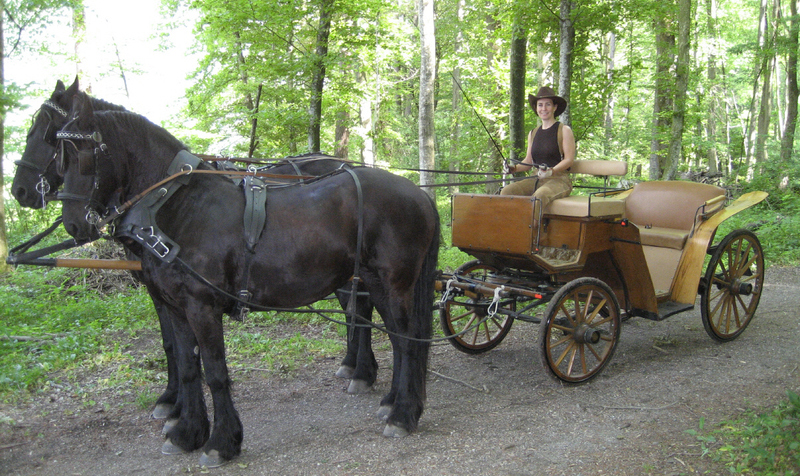 You can book gorgeous carriage rides with our two Friesian horses, Thirza and Anouscha, at BnB Haag. 3 hours excursion with up to four people (CHF 30.-- per adult and CHF 20.-- per child) on the weekends. Are you looking to spend a vacation together with your own horses? 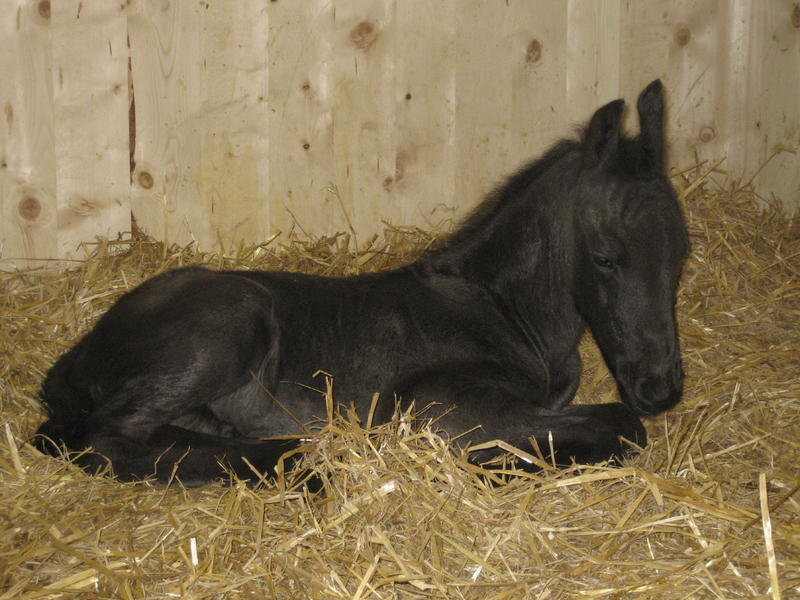 Visiting horses also have their own secure and comfortable stalls alongside those of our own three Friesian horses. Open stables are also available for visiting horses which are adjacent to our horse stalls with grazing area and pastures. There are many scenic bridle paths right around Haag. Feel free to choose them yourself or accompany us along with our Friesian horses. 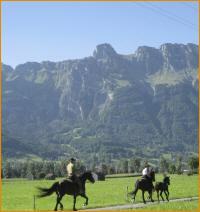 We will be happy to show you the nicest horse riding trails in our vicinity. 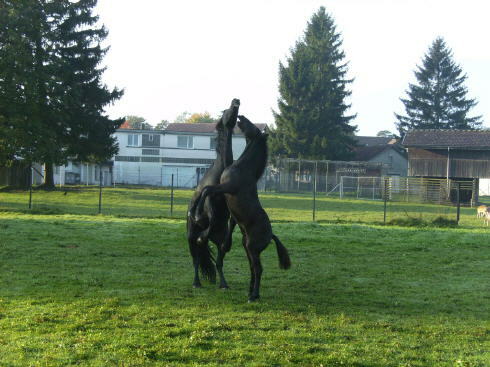 Our Friesian horses are named Thirza, Balios and Anouscha. After a long working day, there is nothing better than riding our darlings through the magnificent Rhine valley western style.